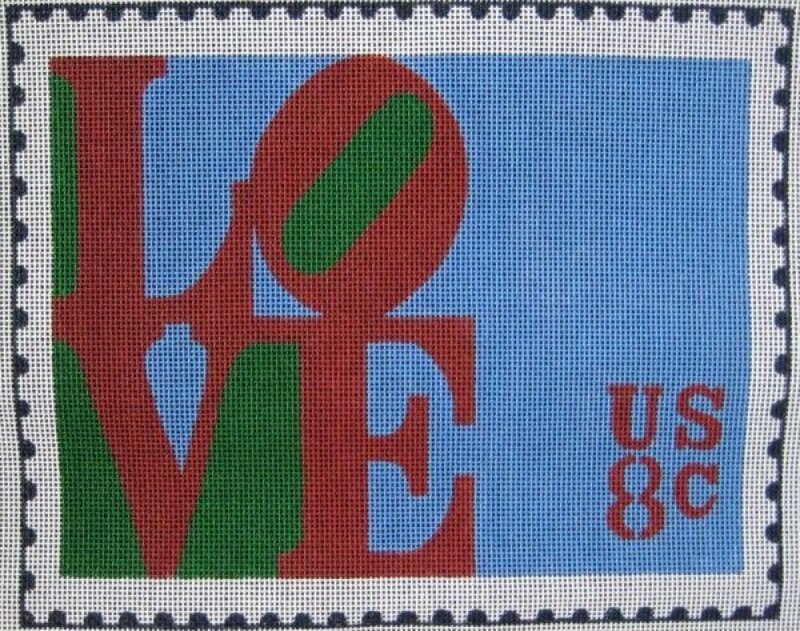 This reproduction of an iconic U.S. postage stamp is quick and easy to stitch and forms part of our popular retro needlepoint series. The design is handpainted onto 10 mesh mono Zweigart needlepoint canvas. The design area measures 15" x 12". You can purchase this handpainted needlepoint design either as canvas-only or with DMC tapestry wool. This handpainted needlepoit design is suitable for a beginner or an experienced stitcher. This U.S Postage Stamp handpainted needlepoint canvas ships from California. Shipping is free if ordered with wool fibers. Contact us with any questions about this U.S. Postage Stamp handpainted needlepoint canvas. We are always happy to help and we try to reply promptly.